5-1/2 inch 50D Electro-Galvanized Tile Roofing Nail, 8 Gauge (0.162) in. 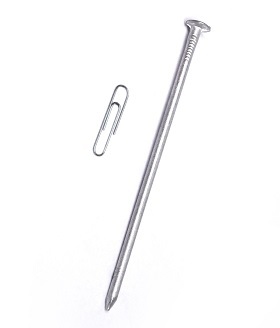 nail, 7/16 in. Head, 50 Lb. Box (about 30 nails / lb., 1485 to 1560 per box). Price/Box.